» Why Do Kittens Cry? Why Do Cats Walk in Front of You? Can Cats Predict the Weather? How Do Cats Jump So High? Why Do Cats Stare at You? If you’ve ever lived with a litter of kittens, you know they aren’t the silent little lambs that many people think they are. In fact, at even just a few days old, kittens can make quite a raucous. Don’t think you need a cage for them! You may hear them cry if you do! Kittens will cry, however, whether they are entrapped or not. All the noise doesn’t stop once they’ve left their litter mates and joined their human family, though newborn kittens cry for different reasons than older kittens do. While cat vocalizations are common and usually nothing to worry about, it’s a good idea to become familiar with kitten cries to ascertain whether your kitten is sick or simply begging for attention. When is Crying in Kittens a Bad Sign? Kittens cry for a variety of reasons. Some are benign, and others are a sign that something is wrong. Newborn kittens will make little noises to communicate with one another, attract the attention of their mother, or because they are cold, hungry, or afraid. If a mother cat takes a moment to herself and briefly leaves her kittens unattended, they are likely to react with a chorus of dissatisfied cries. As long as the mother comes back, there’s no need to intervene. Once you bring your kitten home, you may notice they complain quite a bit. Kittens are learning to communicate with their human caregivers and are also exploring the boundaries of their new living situation. Sometimes your kitten cries because it’s worked in the past. If in the first few days together you offered your kitten food every time they made a peep, your kitten may have learned a very valuable lesson: cry and my human will feed me. Other times, kittens are simply crying to get your attention. Their mews and chirps are irresistible, and it seems like they know it! If you don’t want your kitten to grow up to be a demanding adult cat, it’s better not to give in every time your kitten cries for attention. If your kitten is crying incessantly, you may be trying everything to soothe them. Honestly, though, as long as your kitten isn’t sick or hungry, you shouldn’t worry too much. Many kittens cry when they first arrive in your home because they miss their littermates and mother. This is totally normal and shouldn’t be a cause for concern unless it goes on for weeks after their arrival. Pick up and hold your kitten. Sometimes they cry because they need some TLC. Holding your kitten and making them feel loved may be enough to quiet them. If they don’t seem to enjoy it, however, set them back down. Give your kitten attention, either by petting them or playing with them. Make sure your kitten has a comfy bed to sleep in. Better yet, buy them a covered bed, such as the Best Pet Supplies Tent Bed which will give them a comfortable place to sleep and also make them feel safe and secure. Make sure your kitten has eaten and has a full water dish. Make sure your kitten’s litter box is clean. Sometimes kittens will complain if their litter is too dirty to comfortably use. These kittens have a lot on their mind, and they want to tell you all about it! Usually a crying kitten is nothing to worry about. If your kitten is crying without displaying any other signs that something is physically wrong with them, such as lethargy, throwing up, diarrhea, or fever, you probably don’t need to rush them to the vet. 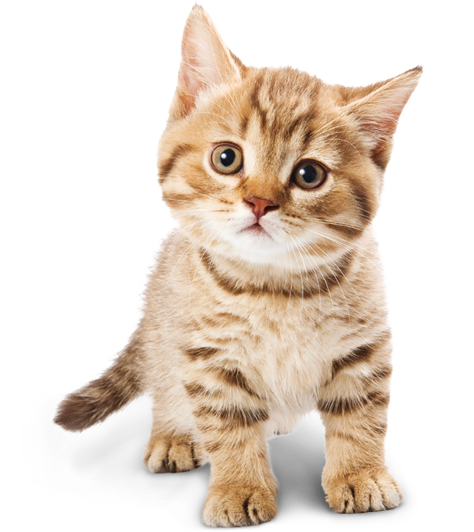 Most instances of crying kittens are behavioral and can often be modified with training. For example, giving in to your kitten’s cries may backfire. If they learn that crying gets them what they want, they may employ that tactic in the future. However, if your kitten’s crying begins to seem abnormal, you may want to bring them to the vet to get checked out. Your vet will rule out any underlying health conditions that may be causing your kitten pain. Remember, kittens and adult cats are adept at hiding physical pain, so just because you can’t figure out what the problem is doesn’t mean there isn’t one. So, why do kittens cry? The majority of the time kittens will cry for attention, because they are hungry, or because something is bothering them. In order to reduce crying in kittens, make sure their basic physical needs are being met. Feed your kitten at regular intervals. Making them wait too long for dinner is a sure-fire way to make your kitten cry. Keep your kitten’s water bowl filled at all times. Provide your kitten with a bed, preferably one that is covered and gives them a safe place to hide, such as the Best Pet Supplies Tent Bed. Spend time interacting with your kitten and give them plenty of toys to keep their little paws busy. In some cases, though, kittens will cry because of an underlying health problem. Kittens are pretty vocal, so there’s no reason to run to the vet for every “meow” or yawn. However, prolonged crying, especially if accompanied by physical symptoms, definitely warrants a trip to the vet. What did you think about this post? Do you have a kitten that cries a lot? 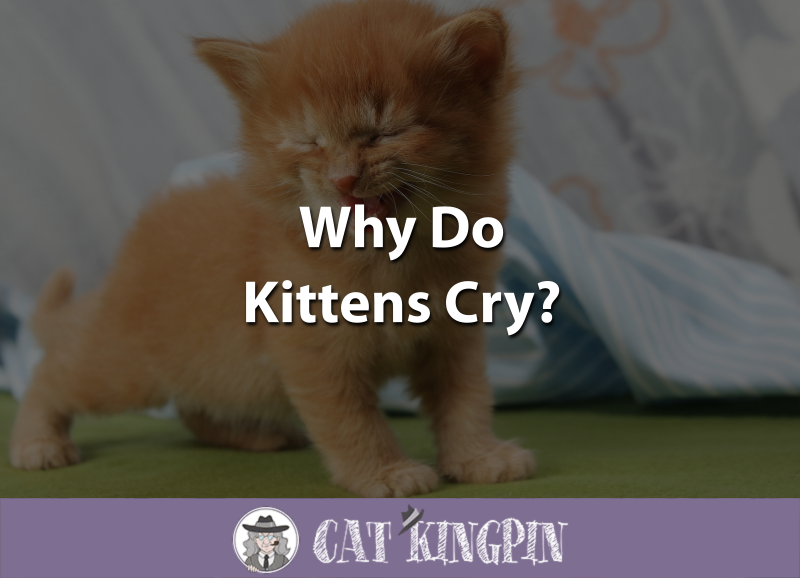 Did we miss any reasons for why kittens cry? Tell us in the comments below. We’d love to hear from you! After moving to New York City from Rome, Italy, I began working in the nonprofit world. Despite my day job, my passion has always been animals, especially dogs and cats, and writing. What better way to combine the two? I've been a pet owner for 15 years, and my menagerie includes dogs, cats, hamsters and the occasional hermit crab. My beloved cat, Mozart, who I found as a newborn kitten, sparked my love for felines and is now nearly 15 years old. 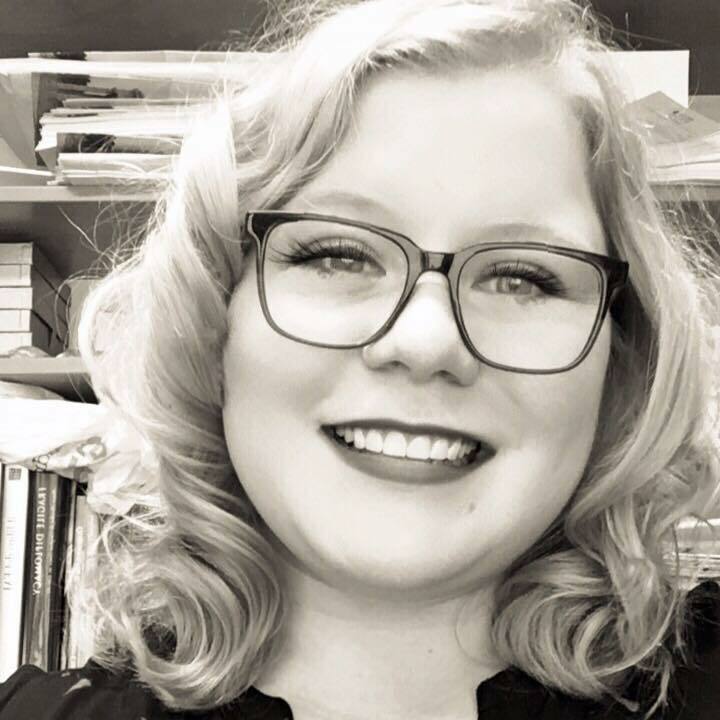 I am an enthusiastic volunteer at the local ASPCA, where I enjoy spending time with the cats and cleaning up after the dogs. I've been writing about pet ownership and care for the past five years.